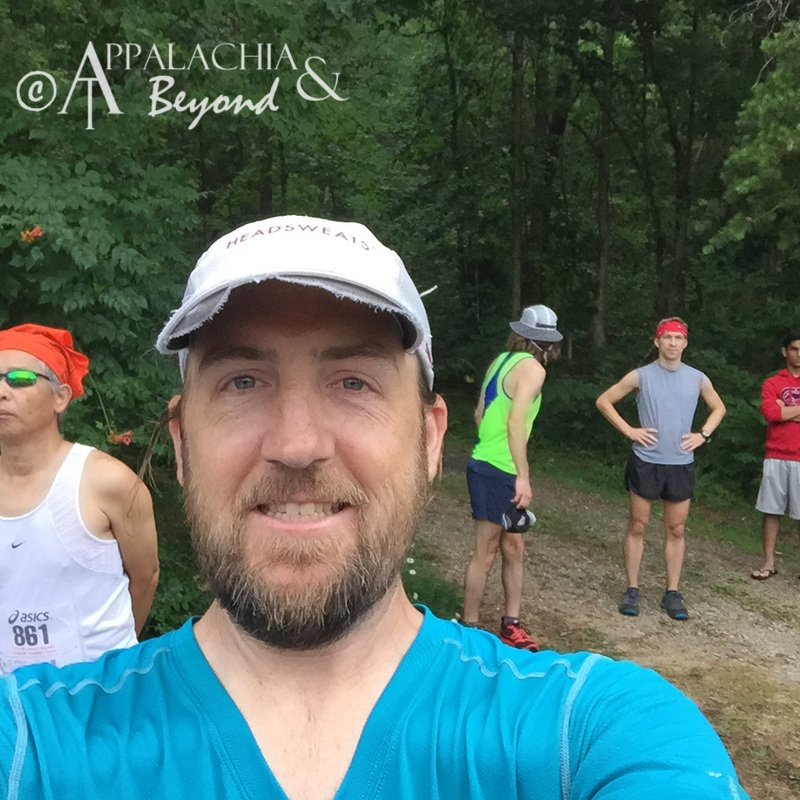 Last weekend, I had the opportunity to run in another one of the Knoxville Track Club's trail series races, The Lakeshore Trail Trek Marathon. This was the first year for the marathon. Last year I ran this same trail race but the long distance portion was a brutal for me 16 miler as I went out to fast and struggled to finish after about 7 miles. Needless to say, after a few more races and again struggling this year in some of them due to starting out too fast, I finally wised up and took things slow. This was a big race for me. Albeit I've run in a handful for 50k's up to this point as well as a 12 hour race in which I ran a little over 50 miles in under the 12 hour time, this would be the first time I had attempted a marathon, on trails no less, since my first ever debacle attempt, back in the day when I was in the Navy and thought it would be fun to run a road marathon. Needless to say, I only made it 16 miles that day when my legs said eff you buddy and decided they would not take another step forward. (as an aside, I had never trained for the marathon then and the night before I got pretty liquored up on Tekillya. Not making excuses or anything, but seriously I had no business attempting that Shamrock Marathon in Va. Beach back in 1994). Anyway, to get back on track, I was really looking forward to this race. 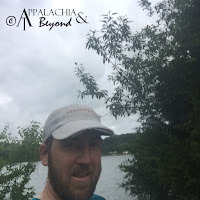 This was going to be the first marathon I finished, and it was another building block in the season to get me to Barkley Fall Classic and Norris Dam Hard Trail Race 50 miler (new distance this year). I was up at a little before 6am and didn't have my ritual race day breakfast available (waffles w/Peanut Butter and Syrup). So I grabbed a cup of coffee, failed to do some business and started getting ready in a mad dash as I was already running behind on the day. (Parking at the trail head parking lot is very limited and I didn't want to park a mile away on the roadside). I was finally out of the door around 6:30ish and thought I'd stop at a McDonald's thinking ice for the cooler and hopefully a bacon, egg, and cheese biscuit wouldn't screw me over later in the day. I pulled in to the trail head around 7:30 and I was the lucky benefactor of an aid station volunteer who'd left shortly before my arrival (I got a parking spot at the start line). I jumped out the car and headed directly to registration and then started getting my gear together. A quick warm up and it was time to start the race. After some brief instructions from the RDs, we were off, the 10kers in one direction and us marathoners in another. Last year we started on the road but very close to the trail head parking. This year it was a bit further back. I knew from the start I was going to need to start slow and unlike last year, getting to the bridge at the trailhead, I didn't care if I was caught in the bottleneck, I wanted to be in the back in order to force myself to go slow. There weren't many marathoner's so the bottle neck at the bridge wasn't bad, as a matter of fact with being around the 4th person from the back, there was no bottle neck at all. Up and over the bridge we were all on the trail. I saw several runners I knew this day and one in particular I wanted to keep in front of me, Stephanie, as she and I had similar paces. I knew that if I kept her within site, I'd be good on my pacing. Last year, somewhere about 10 miles in or so, her and another runner passed me as I was already struggling. I had tried to keep them in sight but another mile and that was no longer possible. There I was keeping an easy pace. 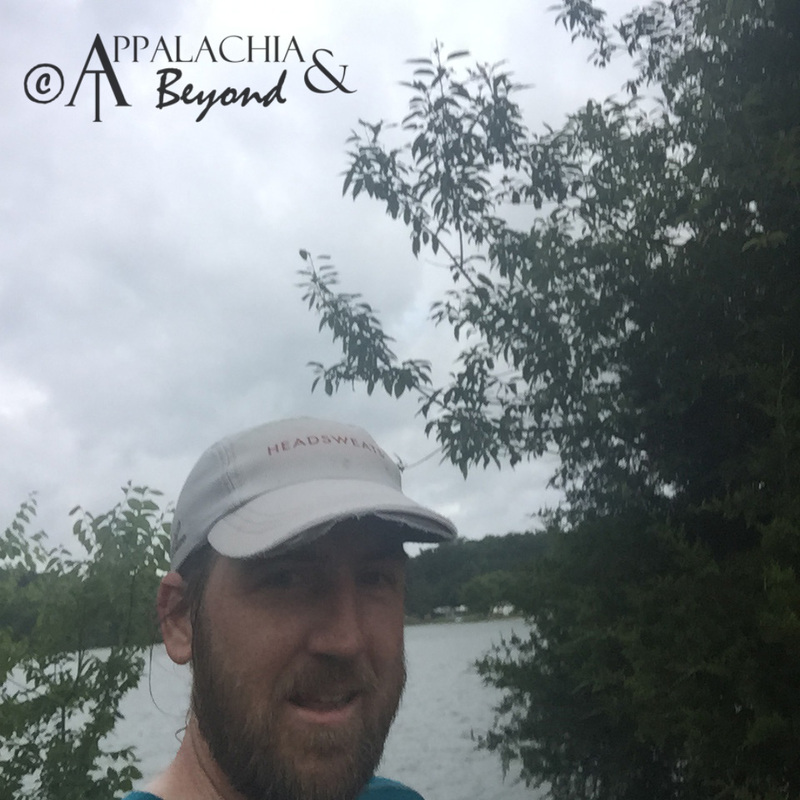 The first mile I think, clicked by at about an 11:30/min/mi pace and I thought to myself I was still going to fast but definitely slower than my last race where I was doing a 9:30 mile at the Xterra Knoxville Half marathon, I struggled for the last 5 miles then. I still had Steph in my sites up ahead so I knew everything was good. I had been passed by a couple of people but I didn't let that bother me. I settled in and started to see the pace I wanted, a 12:30 mile. By this time I had a fellow runner, Van (short for Vanderbilt) behind me. We talked off and on for a good portion of the race. This was only his second trail race and his first ever marathon. In a month he was set to go to Marine Corp Boot Camp. He told me he was hoping to get in with someone he thought he could keep pace with in order to finish the marathon. I wasn't exactly sure how to take that but it was cool having someone to run with for the first 16 miles. Into the first aid station around 4 miles and I was feeling good. I had found a pretty good groove and was keeping up with Stephanie. Tony and Leigh were there to help with food and provided popsicles, a Godsend on such a humid day. I grabbed one after putting down some other aid station fare and Tony refilling my bottle. We didn't mess around to long and the four of us (Steph, Van, Mark, and I) were hitting back to the trail as other runners were arriving at the aid station. Steph and I talked for a little bit as I ran directly behind her for a bit. After a while I'd drop off to take a walk break up a small hill (another part of my strategy for this race was to walk most of the uphills. No sense in wasting power on them). After each one I start running again with Van keeping pace and we'd catch back up to Mark and Steph. This would go on for the next 4 miles until the next aid station around mile 8. Once there I filled up my bottle again and put down some more food (grapes, nuts, M&M's, etc.) and after a quick potty stop, I was off again. Stephanie and Mark remained at the aid for a bit longer and Van had already taken off. I caught back up with him shortly as I think he had the same idea I did about a pit stop. The time seemed to go by pretty fast along with the miles. I had been maintaining a 12:30ish pace and was still feeling pretty good. On our way in to that second aid station and turn around point we had seen all the runners in front of us. I'm not sure the total number that started but it was over 30 in the marathon. 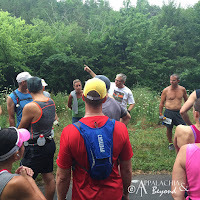 It wasn't long before we made it in to the 3rd aid station (same as the first aid station), another bottle refill and more grub along with a popsicle and we were back at it again. 12 miles down 14 to go and still feeling pretty good. By the time we took off I think Stephanie and Mark had come into the aid and that was the last I would see of those two until after the second turnaround. After the third aid station and more running, the walk breaks were becoming more frequent. The tougher part of the course was in this stretch so a good bit of uphills. Time seemed to go on forever but Van and I still marched on. I noticed my pace was starting to slip a little. Of course the aid station stops didn't help much on that point. I think I was maintaining a 12:45 or so pace and it would slip to a 13:00 mile pace by the 4th aid station (the start/finish) line at mile 16. It was here I did some major refueling and took my time. I had a piece of watermelon, a couple pickle chips, and other stuff I can't remember. Got my bottle refilled and had some Gatorade. Here I saw Kirby Russell, he was volunteering today rather than leading the masters division as usual. He told me I was looking good and to keep at it. I got the same boost from Kathy too (the RD). I took a little longer than I probably should have here but then again, it probably paid dividends too. 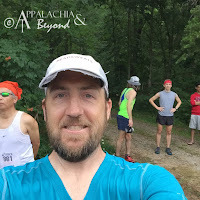 There were two or three other runners taking off from the aid station before I got out of there but I took a minute to talk to Chris (Norris Dam Hard Race RD). He decided to give his body a break and drop from the marathon. After a brief chat, I was out of there and on my way again. Van had already taken off and two other runners were already a quarter of a mile ahead of me. I took my time. It was short stint on the road before tucking back onto trail again. It was somewhere between miles 17 and 18 I finally caught back up to Van. He was having troubles. As I got to him he said everything below his waist just didn't want to move anymore but insisted that I go on and wished me luck. I was glad to see him still moving along after I made the turn around and passed him going back towards the finish. I continued on, holding to a 13:00 mile pace. I was on my own now, but was feeling pretty good considering. The two from the last aid station had become one. At this point I wasn't sure where the one had went but I eventually passed the other. I had assumed that may they had turned around or turned off course to go back to the road or something. I kept on and eventually caught up to another runner. It was just before a bit of an uphill so I started to walk and let him stay in front. After the uphill though, I was passing him in no time. Finally I was at around 19 miles or so and coming into the next aid station. I took a second to stretch here (I was starting to feel it in my hips) and get my bottle refilled. Had a little more food and I was off again. I had saw another runner ahead of me, leaving the aid station as I was pulling in. I was determined to catch her. There were other runners going back the other way too. I guess the lead runner passed me headed to the finish line when I was somewhere around mile 17 or so, a good hour or more ahead of me. Yep I'm slow. I was finally back off down the trail again and in the hunt. At one point I got close and then an uphill. I was starting to feel it. So I took and extra long walk break this time. I needed to regroup. I finally got it back together and was off again. I had slowed to a 13:20 pace by this time and trying not to go passed 13:30. 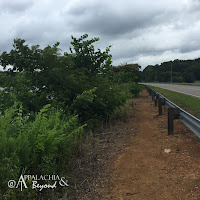 I was getting close to the turn around and knew that I wasn't far behind the other runner, as a matter of fact there was her and another runner ahead of her that was within striking distance. Just before the turn around, a shower hit us. It felt great. I needed to cool down. It wasn't long after the turn around I had finally caught the runner in front of me and passed her. I was still hungry but I was patient. I methodically made my way back to the final aid station and just prior to pulling in I caught that next runner. We pulled into the aid station together. I didn't waste much time. I refilled my bottle got a handful of something and was back off, determined to put distance between myself and the runners I just passed. I was somewhere around 23 miles in and was ready to be done. It seemed to go on forever. I remember this section from last years 16 miler, it was were I was passed by a few people going up hill. So I took care to keep a good pace but not spend everything. I walked the uphills always looking over my shoulder. Never did see anyone. Onward I pushed seeing the familiar signs of how close I was to the end. I was really feeling it. My pace had dropped more, 13:40 something or other. Finally I popped out of the trail and onto the last stretch of road. Here I saw the last runner I had passed at the aid station. How was that possible, no one had passed me on the trail (he must have taken a wrong turn and run the road the rest of the way in and the official results show him finishing a minute ahead of me. Would he have passed me on the trail? Who knows. Maybe). The last stretch of road was a small one before it tucked back into the trail for a short 200 meter stretch to the finish line. Just prior to ducking into it, I heard my friend Doug Holder yelling at me to finish strong. He was already finished and took first in the Master's division. 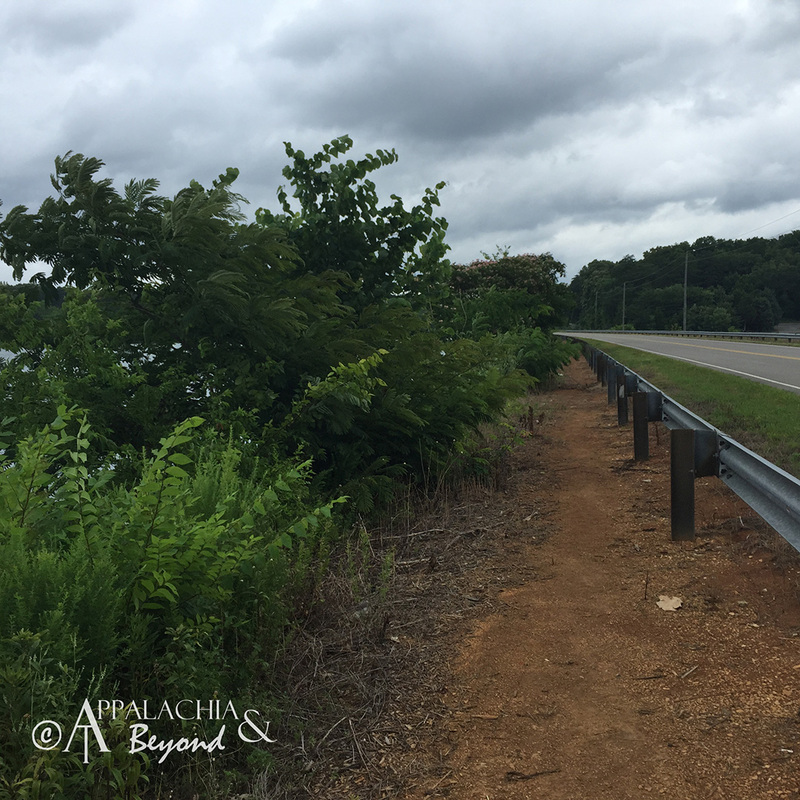 I picked up the pace and new I was about to finish my first ever marathon and it was fittingly on trail. 5 hours 50 minutes and 38 seconds from the time the race started, I was officially finished. I was complimented on how well I had done by everyone. It was a great race and I was happy with my performance. I finished 20 out of 30 overall, and was 6th out of 10 in the masters division. I was ready for a beer and to sit in the lake. After hanging out with everyone for a while and watching the last few people finish, it was time to call it a day and head home. P.S. Special thanks to all the volunteers, the race staff, and KTC for making this race possible. Also to Terramar Sports for the Microcool top keeping me cool on such a warm, muggy day.